What's better than one adidas Ultra Boost sneaker? Two, of course. adidas brings back the ACE 16+ PureControl Ultra Boost and give us a new colourway of the Nemeziz version as well. Check the sneakers from the 'Earth Storm' Pack right here. You may have noticed something missing in adidas' recent packs. 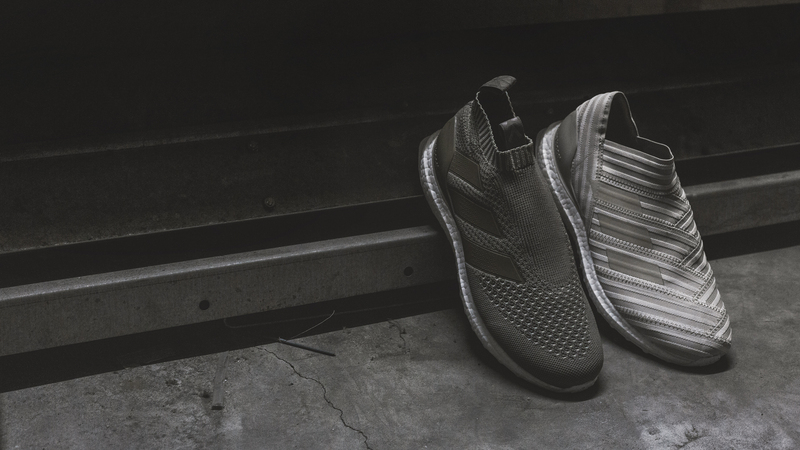 Since the German brand introduced 'Dust Storm' and the first Nemeziz ever, the medical tape-inspired boot has taken ACE's place on the Ultra Boost sole. But now adidas reintroduces the ACE 16+ PureControl Ultra Boost and gives all fans of the silhouette what they've been craving the past months. Like in connection with the previous 'Storm' packs, adidas gives us a brand new Nemeziz 17+ Ultra Boost in the 'Earth Storm' colourway. The Nemeziz Ultra Boost takes the AgilityBandage upper, which is constructed from one single piece of stretchable bandage and mix it onto the infamous Ultra Boost midsole and heel counter. Might just be the most stylish colourway yet for the Nemeziz sneaker. Get the adidas Nemeziz 17+ Ultra Boost 'Earth Storm' sneakers right here. The adidas ACE 16+ PureControl Ultra Boost is back! Staying true to the previous design, the popular sneaker makes it's return for the first time in the 'Storm' series in the 'Earth Storm' colourway. An what a beauty. Mixing the popular ACE upper with the Ultra Boost, these sneaks are going to go fast, no doubt about that. Not only providing you with a modern and stylish look, both the adidas Nemeziz and ACE Ultra Boost sneaks also feels great on foot. So you might want to consider these if you're looking for both maximum comfort and a fire look at the same time. Get a pair of the adidas ACE 16+ PureControl Ultra Boost 'Earth Storm' sneaks right here.